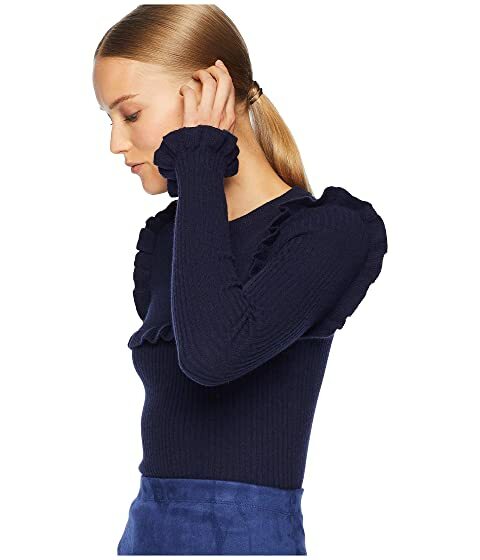 Escape to where your winter wonderland resides wearing the soft and comfortable See by Chloe™ Ribbed Long Sleeve Sweater. 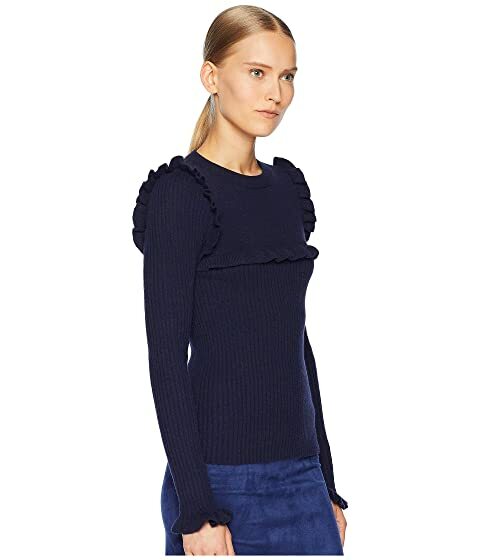 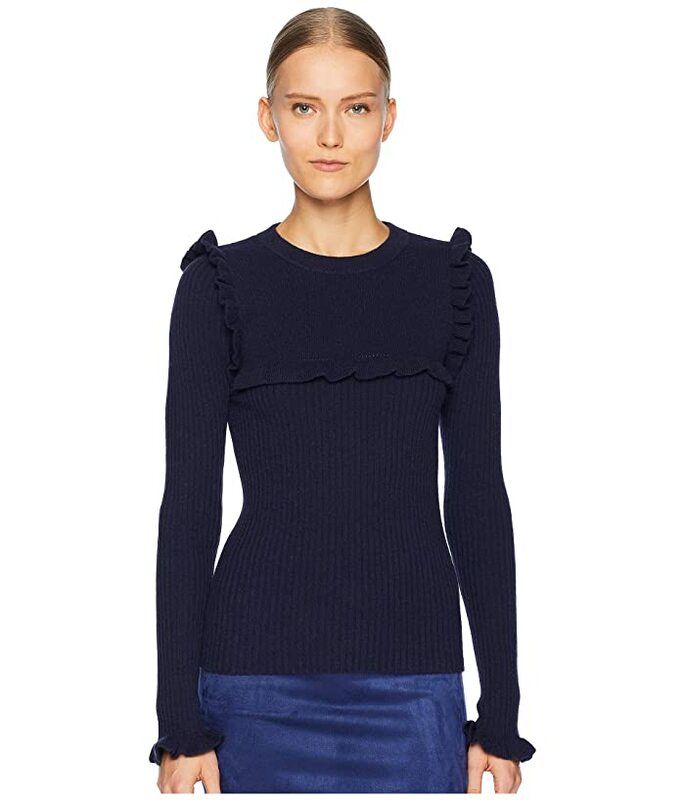 Long sleeves with playful ruffles at the cuff. 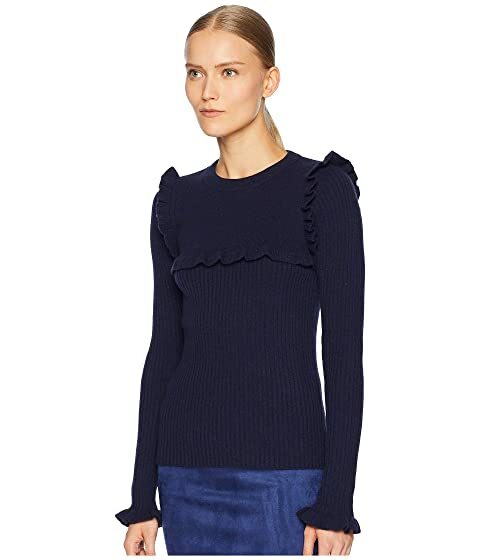 Ruffle and ribbed detail throughout. 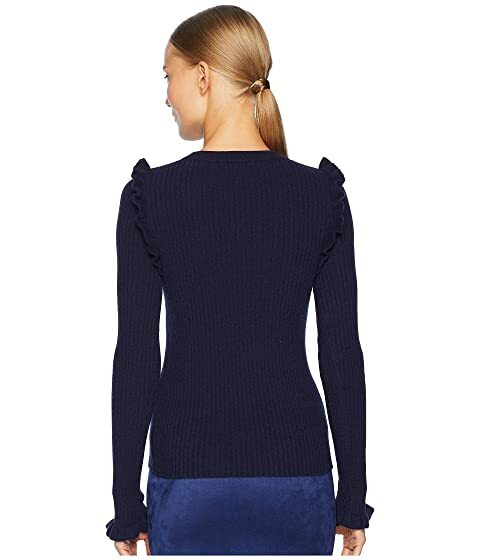 Materials: 73% alpaca, 27% polyamide.